There are certain things that just cannot be said out loud. But why should fashion & style be one of those things? No more! Today is the day we break all these fashion taboos..or at least the most important ones. Hence, a man who doesn’t take care of his appearance or one who simply doesn’t know how to dress, simply must be told! Trust us, you’ll be doing him a favor. Thankfully, throughout the years men have learnt to focus more on their appearance, and so the demand for high end men’s accessories has grown. In fact, the Noise/Intelligence Group, a youth-focused marketing agency released a report in 2014 stating that according to a survey conducted on males between the ages of 14 and 34 years old, 34% of men were willing to pay for a luxury accessory. “We wanted to go beyond the classic luxury products, and offer unique and upscale accessories to stylish men. 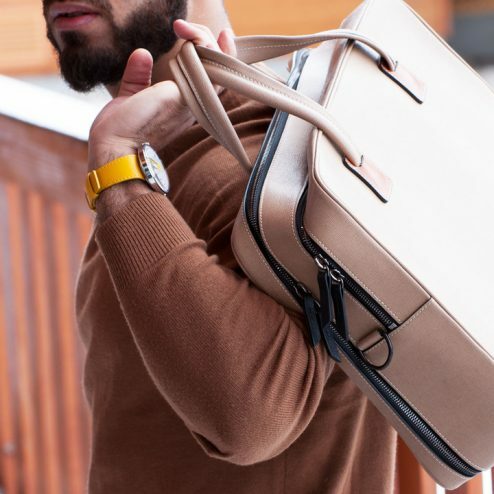 The objective of anderos.com is to offer a platform that meets the demands of this new generation of sophisticated men who are looking for a unique design and a better selection of fashion accessories. “Said William Ung, co-founder of Anderos. In addition, the partnerships being formed by the start-up are growing every day. Founded by men with a passion for fashion and a thirst for style, Anderos is an online marketplace that specializes in high end men’s accessories and calls the city of Montreal home. Collaborating with over fifty-seven brands from Australia to Canada, Anderos targets a worldwide audience. The products selected by Anderos can be defined by as a refined blend of modern and exclusive accessories. Each cufflink with its unique engraving, each bowtie holding a distinct pattern and every piece of men’s jewelry sporting its own flare. All of these pieces, one more distinguished than the other, gathered into one space, available at the click of your mouse.